What’s up, yo! How’s it going? Are you looking for interior house painters in Mesa AZ? Well, you prob’ly won’t believe this, but that’s what we do. That’s who we are. We are Mesa Painting Pros and we have expert interior and exterior house painters. And, we are in Mesa, Arizona! Looks like we could have a perfect fit. You want some of what we got and we want your business. We have commercial and residential house painters with over a decade of experience who have refined their skills to the point where our customers are happy enough to tell their friends and family about us. Yep, most of our business is referral and repeat business. So, we don’t even advertise on Google anymore. We just have this website and people tell people who tell people about us. So, maybe you have a few questions. Am I right? Can you help me understand the different types of interior paint? Every interior surface is painted with either latex or an oil-based paint. Most often, latex is used to paint walls and ceilings while oil-based paints, like high gloss, satin and flat gloss are used on kitchens, bathrooms, trim and doors. ​Now, don’t you feel smarter? Cool. Click here to call us now. I don’t know. Next question. So, for example, an average 1,500 square foot home will typically cost about $1,800 to $2,000 to paint the exterior. A 2,500 square foot home is typically $3,000 to $3,500, depending on whether there are one or two stories. Again, these are only typical indicators to help you guestimate. We will be glad to come out and do an actual written estimate to make sure you know the exact costs before we start. ​We can also paint your kitchen cabinets! Painting your kitchen cabinets is a fantastic way of updating the look of your kitchen for a fraction of the cost of buying new cabinets! Kitchen cabinet painting is our fastest growing service. Mesa Painting Pros are experienced professionals that you can trust with your home's new paint job. 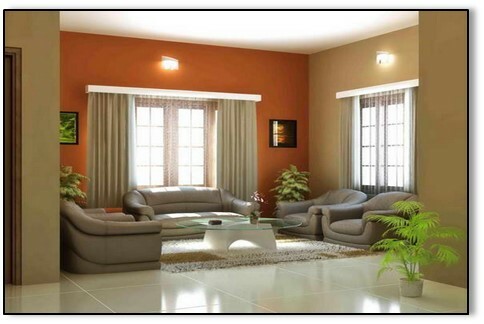 ﻿​We view painting your home as a worthy long-term investment in perhaps your biggest asset. New paint increases its durability, beauty, and value.